The Inter-Parliamentary Coalition for Combating Anti-Semitism is meeting today in London in the wake of the Gaza campaign, which ignited an exponential eruption of global anti-Semitic frenzy unprecedented since the Nazi era. The intensity of the anti-Jewish rage, frequently accompanied by acts of violence, has engendered fear and anxiety among Diaspora Jews and obliged many to seriously ponder their long-term future. 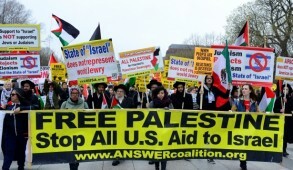 On every continent and in virtually every city, enraged demonstrators have railed against Israel and indulged in anti-Semitic calls to “boycott Jews,” “gas” them and “dismantle the Nazi Israeli state.” The anti-Jewish offensives, usually initiated by Arabs, have been supported by wide spectrums of indigenous citizens. Jew-baiting is especially intense in the UK. Prominent Jews encounter death threats. Students at Oxford University have gleefully proclaimed that in five years, their campus “would be a Jew-free zone.” A high-ranking British diplomat was arrested after publicly launching a foul-mouthed anti-Semitic tirade. The London-based Royal Court Theatre is staging a viciously anti-Israeli play by Caryl Churchill that Melanie Phillips described in the Spectator as reminiscent of anti-Semitic plays performed in the Middle Ages portraying Jews as demonic Christ-killers. In many European cities, Jews encounter violence in the streets. In Italy, a labor union has called for a boycott of all Jewish businesses. In France, synagogues have been attacked and cars belonging to Jews firebombed. A Swedish school has refused to accept Jewish students. A leading Norwegian TV entertainer was sufficiently insensitive to jokingly express regret for the billions of innocent lice killed with Jews in gas chambers. The Barcelona municipality canceled a Holocaust memorial because “making a Jewish Holocaust ceremony whilst a Palestinian Holocaust was taking place was not right”; simultaneously, 30,000 Barcelonans marched in support of Hamas. 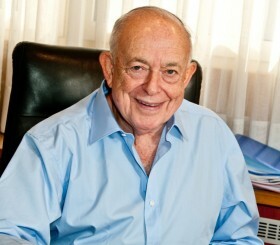 Elsewhere, the deputy South African foreign minister was obliged to apologize after making a statement railing against Jewish money that controlled America; in Turkey, in the wake of Prime Minister Recep Tayyip Erdogan’s histrionic outbursts against Israel, Jewish institutions were vandalized and calls were made to boycott Jewish businesses; there were violent anti-Jewish riots at York University in Toronto, Canada. The onslaught against the Venezuelan Jewish community by President Hugo Chavez, Iranian President Mahmoud Ahmadinejad’s ally, included demands for the Jews to condemn Israel and calls to boycott Jewish enterprises. There is now concern that other Latin American governments like Argentina, imbued with anti-Semitism bolstered by Iranian-sponsored Arab migrants, could also embark on anti-Jewish campaigns. 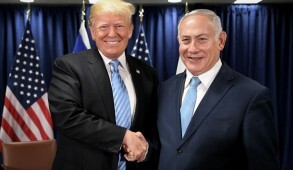 Even in the United States, where public opinion remains overwhelmingly supportive of Israel, the blatantly anti-Semitic demonstrations in major cities have shocked many American Jews hitherto confident that unlike in Europe, anti-Semitism would never reassert itself in their country. The increasing dominance of anti-Israeli elements on most campuses provides additional grounds for concern because ultimately many of these youngsters will become leaders of the nation. 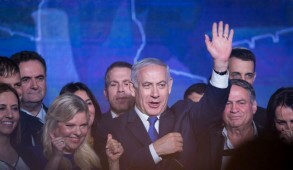 THE USE of holocaust inversion to demonize Israel, and the bracketing of Israelis with Nazis, have extended from the Arab arena into the mainstream and are now sanctioned as legitimate political discourse. Today, much of what purports to be criticism of Israel even in the “respectable” media is reminiscent of Nazi anti-Semitic propaganda. The role of renegade “non-Jewish Jews” seeking to delegitimize Israel has also dramatically escalated, and extends beyond calls to boycott Israel. For example, the Web site of the notorious Norman Finkelstein recently reproduced 40 horrific photographs displaying Nazi atrocities juxtaposed with images of purported Israeli atrocities in Gaza. It was titled “The grandchildren of the Holocaust survivors are doing to the Palestinians exactly what was done to the Jews in Nazi Germany.” This obscenity was widely distributed throughout the Internet by left-wingers, Arabs and radical right-wingers like Pat Buchanan. It was also promoted by a Norwegian diplomat in Saudi Arabia, who transmitted the vile collage on her embassy’s e-mail. There appear to be no limits to the depths to which these despicable Jewish foes of Zion are willing to stoop to demonize their own people. In an article published in the purportedly respectable London Review of Books, Henry Siegman, a former director of the American Jewish Congress, hailed Hamas as an Arab national liberation movement comparable to the pre-state Zionist underground movements. British Labor parliamentarian Gerald Kaufman exceeded his previous foul outbursts by proclaiming that Israeli soldiers reminded him of the Nazis who had cold-bloodedly murdered his grandmother while she was in bed. “My grandmother did not die to provide cover for Israeli soldiers to murder Palestinian grandmothers,” he said. Jonathan Freedland of the Guardian, after reassuring his readers that he had consistently and unequivocally condemned Israel for its Gaza campaign, pleaded with them not to blame Jews for the atrocities committed by Israelis any more than Muslims who were not guilty “because the killers of 9/11 and 7/7 had been Muslims.” In many European countries, including the UK, the media provide greater exposure to the marginal Jewish anti-Zionists than to official Jewish community spokesmen. WHAT IS especially chilling is that in most countries, hatred of Jews at the grassroots level is far more intense than government policy. The talkbacks from even the more sophisticated Internet and media publications reflect a dramatic escalation of ferocious hatred of Jews. A recent Anti-Defamation League survey disclosed that 40 percent of Europeans consider Jews to have too much power, and 31% believe Jews are to blame for the current global financial meltdown. Needless to say, the broad acceptance of such rabid views at the people’s level bodes ill for the future. It is especially galling to witness this anti-Semitic pandemic after the extraordinary efforts Israel made to avoid a conflict despite all the years in which their civilians have been targeted by missiles. Hamas’s systematic and calculated exploitation of women and children as human shields was effectively disregarded. 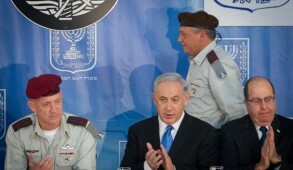 Israel’s efforts – unprecedented in the history of warfare – to minimize civilian casualties, were ignored. Yet the brutal means employed to suppress terrorists in Bosnia, Iraq and Afghanistan (not to mention Chechnya) and the killings in Congo, Zimbabwe and especially in Darfur, where hundreds of thousands of innocent civilians have died, are hardly mentioned. 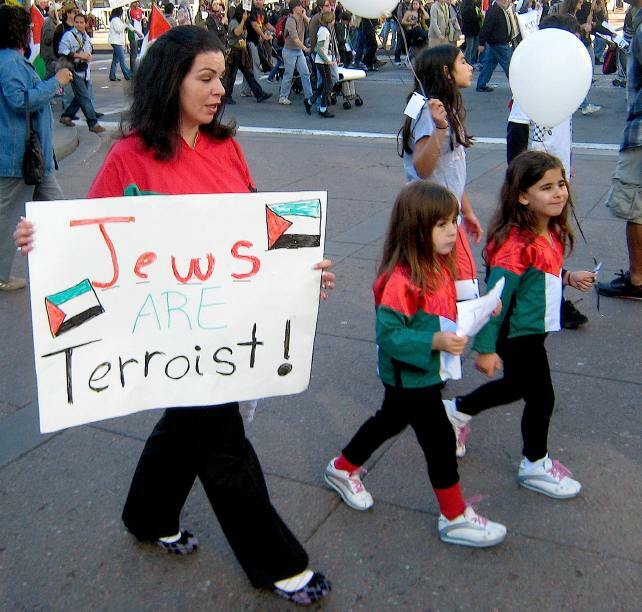 There is little doubt that the Gaza campaign merely provided a pretext to unleash pent-up anti-Semitism. ALAS, THE ZIONIST DREAM that a Jewish state would eradicate anti-Semitism has proved to be a delusion. Ironically, today, Israel itself is being exploited as a vehicle to promote anti-Semitism. Yet the Zionist vision of a Jewish state representing a haven for Jews in distress is a reality. Diaspora Jews can at least feel reassured that if they are unwilling to live like pariahs in societies that revile them, there will always be a Jewish state willing to embrace them. They will never face the nightmare that confronted Jews prior to the Holocaust when their desperate pleas for entry visas to escape from Nazism were nearly always denied. Indeed, it would now be timely for Jews domiciled in countries in which the hatred surrounding them is undermining the quality of their lives, to undergo genuine soul-searching. The future for Jews in some European countries is bleak, as resentment against them is transformed into hatred and accompanied by violence. The United Kingdom has already reached this level, and Anglo Jews who deny the reality of the anti-Semitic cesspool surrounding them are truly in denial. Diaspora Jews should now honestly contemplate the practicality of creating new lives among their own people. Many may conclude that there are insurmountable obstacles to packing up and coming to Israel. But if they remain in anti-Semitic countries, they should at least weigh the crippling impact on their children and consider encouraging them to make aliya. Anti-Semitism has always escalated during periods of economic upheaval, and as the financial meltdown intensifies, the problem will undoubtedly be aggravated. In addition, aside from the wealthy, many who regard Jewish continuity as important will find it increasingly difficult to afford the prohibitive school fees required to provide children with a Jewish education. That may represent an additional incentive to consider aliya. The escalation of anti-Semitism must be a wake-up call for Diaspora Jews. They should be aware that notwithstanding the difficulties facing those wishing to settle in Israel, the standard of living here today is a far cry from what it was half a century ago when the Jewish state was still struggling to establish itself. For some Jews, it is imperative that they review their options now, not at some future date when further deterioration could transform aliya into a stressful evacuation rather than a choice.